Below are some "mystery markings" I've found on Martinis from my collection. I'd greatly appreciate input from any other enthusiasts who may have a thought on these! 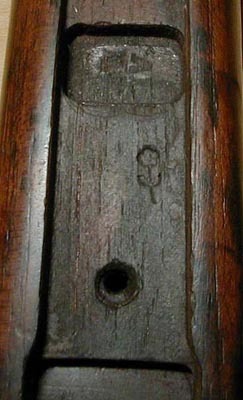 I found this stamp of a flower beneath the forend securing plate on a Martini-Enfield Carbine. I could find no reference to its meaning, and asked Ian Skennerton about it. He had never seen the marking either. This is on the underside of the forend plate on the same weapon. I was intrigued by the "J.A." and "J.M." initials. 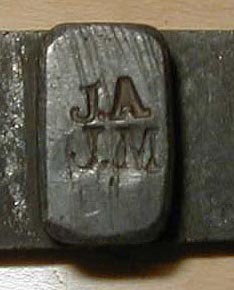 The suspicion is that these are armorer's or fitter's initials. UPDATE: I have received word from colleagues in Western Australia that these are indeed fitter's/armorer's initials. They seem to be found exclusively on the underside of Mark III type forend securing plates, and under the Rigby nosecaps of Artillery Carbines and some .303 Martini rifles. Please contact me if your Martinis bear these markings! 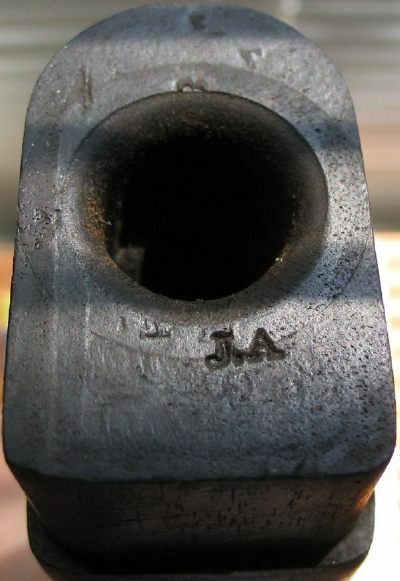 UPDATE: While disassembling one of my Mark IV Infantry Rifles in order to send the rifle in for some gunsmithing, I found the "J.A" marking again. So much for the theory of exclusively finding them on the underside of the securing plates, and on .303 rifles! Gary Mclellan from Missouri sent me an email describing a flower marking he found beneath the forend plate of his .303 caliber Martini-Enfield Artillery Carbine. 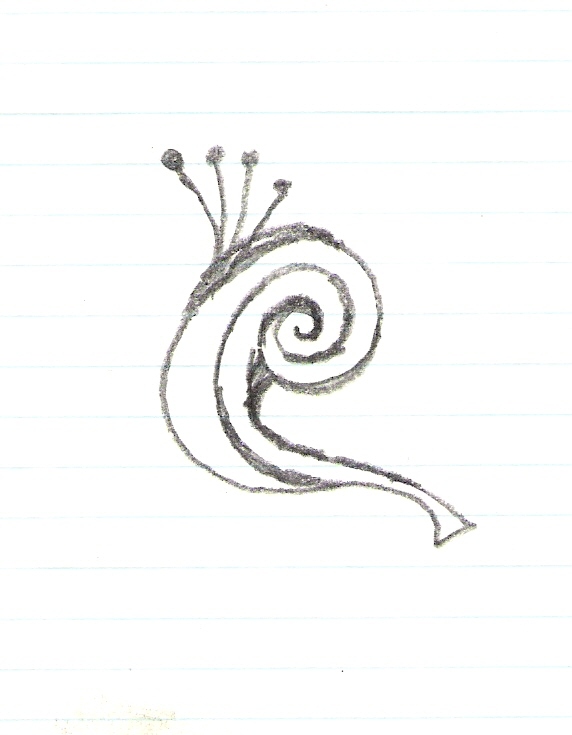 This is a drawing Gary sent of the flowerlike marking.